How do you decorate your Baha sound processor? We love seeing pictures of creative Baha users and how you decorate your sound processors. Some people even get tattoos to highlight their hearing loss or to sympathise with a loved one (although you certainly don’t need to go that far!). 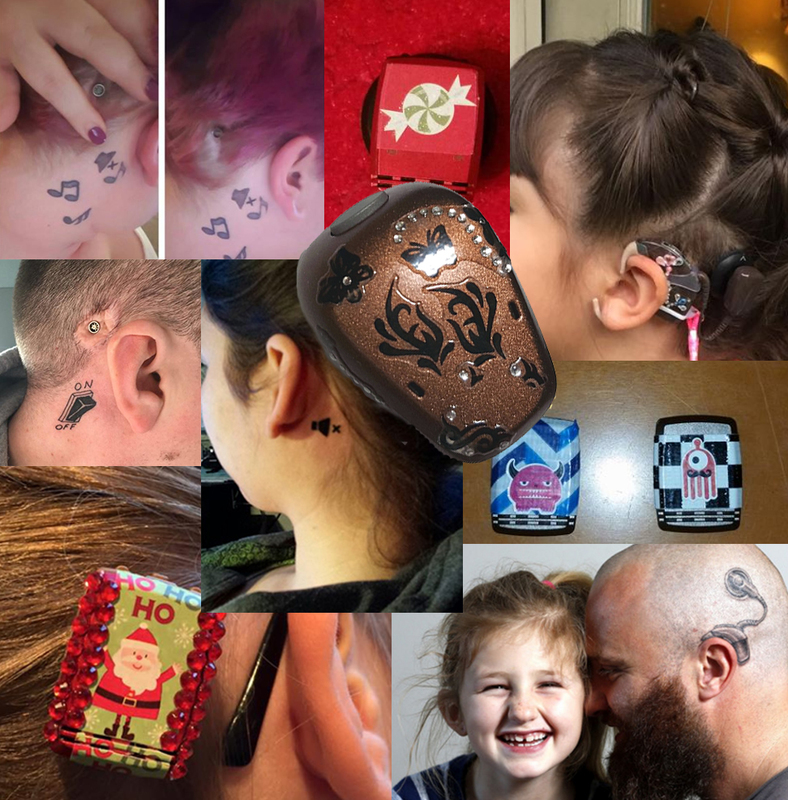 The picture of the dad from New Zealand who tattooed a cochlear implant just like his daughter’s went viral last year, and we’re sure there are lots of other creative ways of highlighting your hearing loss or blinging your sound processor. Here are some ideas we’ve come across. Feel free to share your own – either here or on our Facebook page. We’d love to see how you decorate your or your child’s Baha sound processor! Please be aware that material in certain stickers and glue may contain substances that are not biocompatible and thus may cause skin reactions. Test it on your skin first! This entry was posted in Baha, Baha 5 Sound Processor, Baha 5 SuperPower Sound Processor, Baha 5 System, Hearing loss and tagged Baha sound processor, battery door, children, decoration. Bookmark the permalink. The Baha Blog admin on Can I connect my Baha 4 Sound Processor to a cordless dect phone? Cheryl Bess on Can I connect my Baha 4 Sound Processor to a cordless dect phone? Mike on How do I connect my Baha sound processor to my iPad?